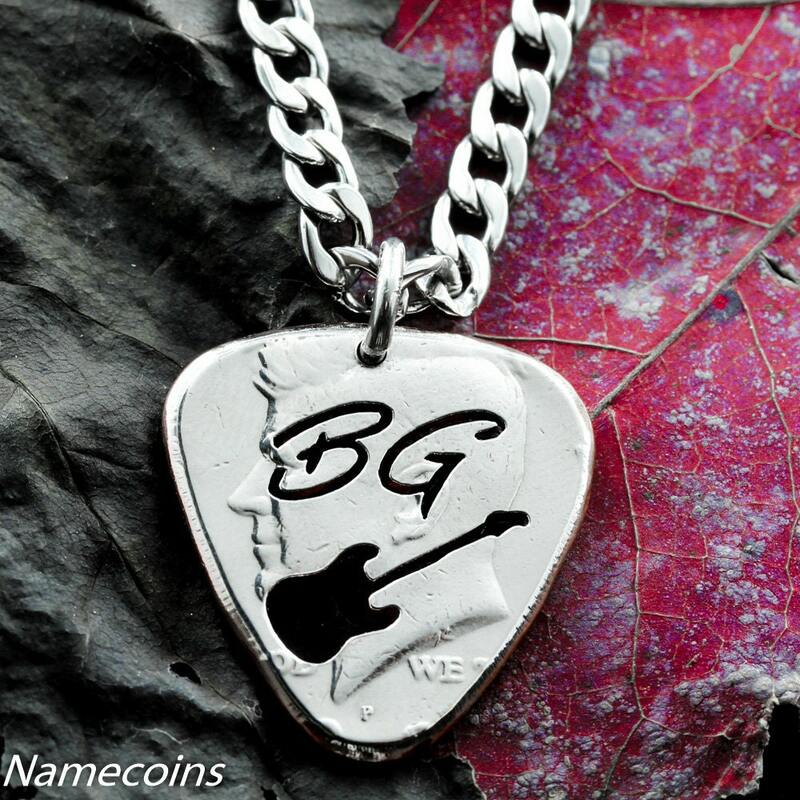 For years, musicians have loved our Guitar Pick shaped cut coins. They make beautiful necklaces and conversation pieces. We do everything custom and we love the style of this thinner cursive letters. 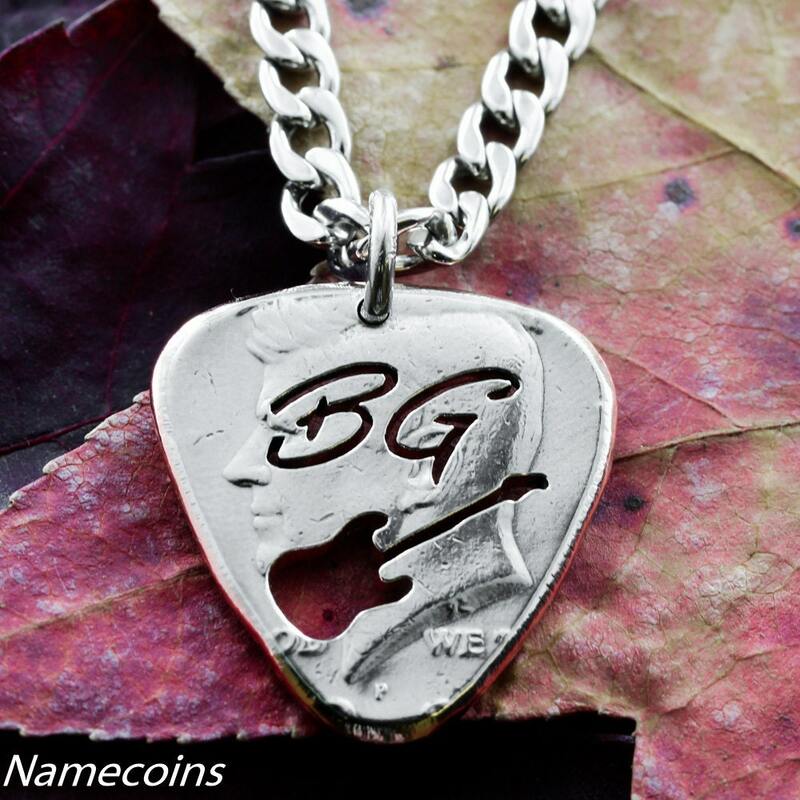 We hand cut the letters and the style of guitar requested, then we shape, burnish and polish the coin to make it the shape of the pick. We can do a smaller quarter size no problem, this picture is of a half dollar as can be seen by the face of the Kennedy.